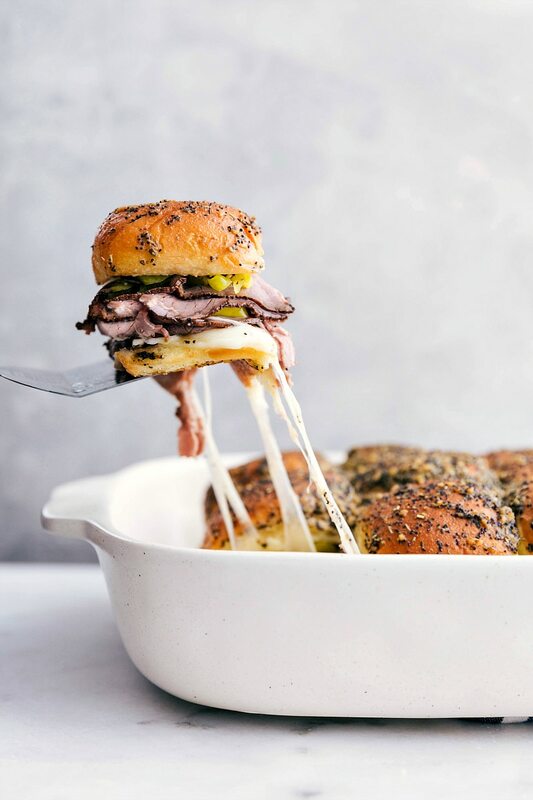 These flavor-packed Italian beef sliders are made with sweet Hawaiian rolls, deli roast beef, provolone cheese, pepperoncini, and a seasoned buttery topping. These sandwiches can be prepared in advance and baked right before you’re ready to serve them. They make a great last-minute dinner/lunch (30 minute recipe!) or the perfect party appetizer! These last few weeks with a newborn, I’m reminded just how much of a lifesaver it is to have a few meals in my arsenal that 1: require few ingredients, 2: are super quick to assemble, and 3: are crowd pleasers (AKA all my boys will happily eat it without too much coaxing). Lately, sliders have been ticking all those boxes. I’ll whip together an easy salad so we’re getting some veggies, peel some clementines, and call it a dinner win. Nothing fancy, and not particularly the healthiest meal, but when those crazy nights happen, it’s the perfect solution. 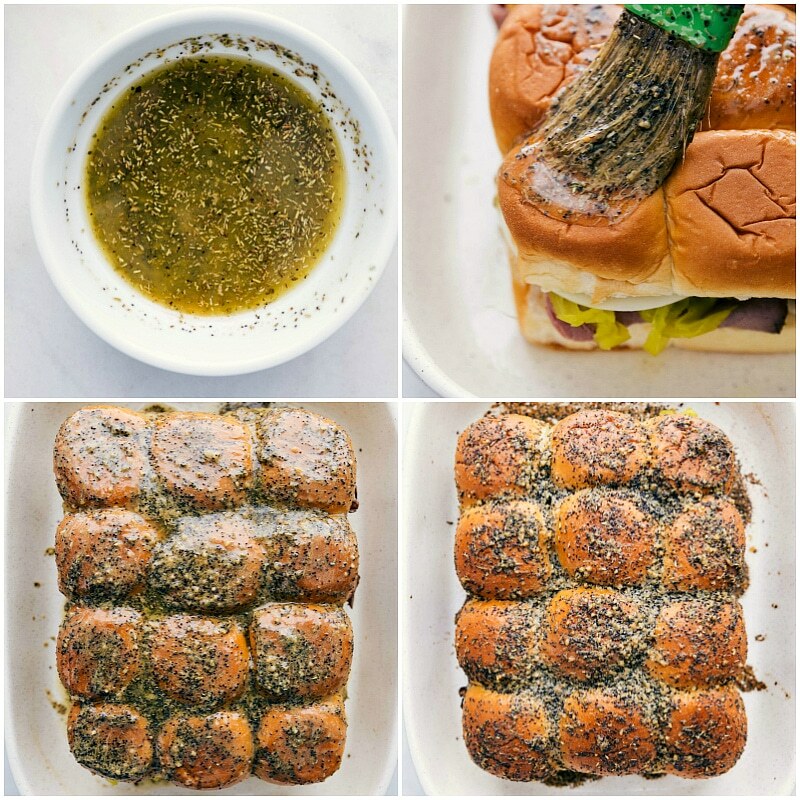 These Italian beef sliders are not only quick & easy, but they’re a total hit with the family! We’ve made them a few times for some family/friends that have been over to meet the baby and everyone has been obsessed with these. Separate the rolls: using a sharp, serrated knife, slice the rolls in half so you have a top portion and a bottom portion — you want the bottom slightly thicker than the top to avoid overly crisp bottoms. Add cheese and meat: add a layer of cheese, a layer of roast beef, a layer of pepperoncini (click for the brand I use; not sponsored, just a fan! ), and another layer of cheese. Add that top half of the rolls right back on top. Make buttery topping: melt some butter + a few seasonings + dijon mustard + Worcestershire sauce to a bowl. Whisk together and pour over the rolls. A lot of the mixture will pool at the bottoms of the rolls which helps the base soak up the deliciousness! Bake: cover the rolls and bake! 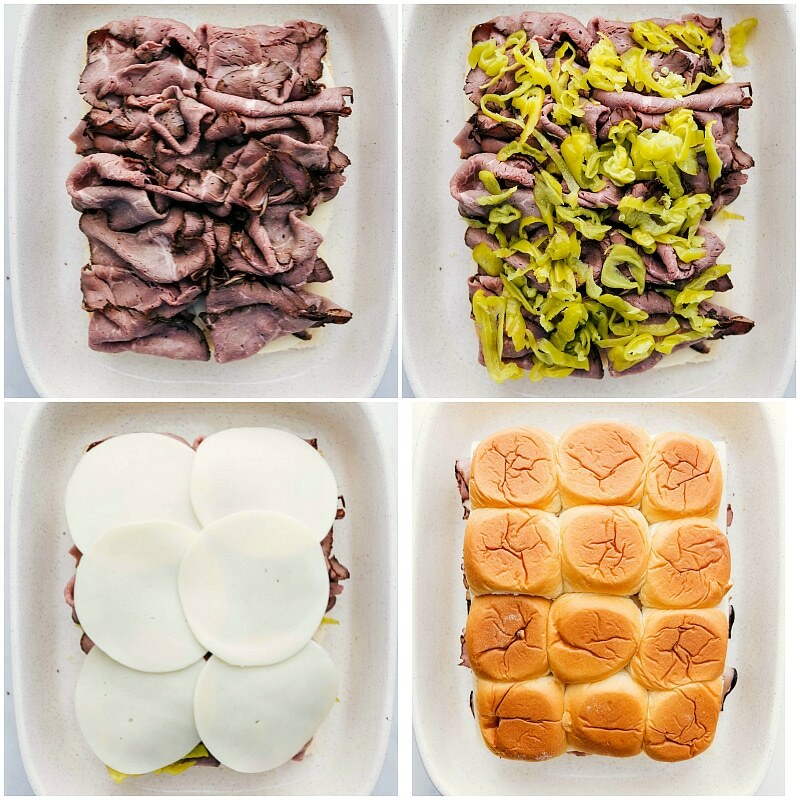 Slice ’em up and enjoy these hot Italian beef sliders straight out of the oven! You can prep these sliders out the morning before you plan to make them or a few hours in advance. Prepare the sandwiches WITHOUT the butter topping and cover tightly with foil. Place in fridge. Prepare the seasoning “mix” (poppyseeds, Italian seasoning, minced garlic, minced onion, salt) and set aside. When ready to bake: melt the butter, add that prepped seasoning mix + dijon & Worcestershire sauce, and whisk to combine. Pour over the prepared sandwiches and bake. What side dish goes well with these sliders? If you aren’t serving these Italian beef sliders as an appetizer, they also make a great meal. Below are some of our favorite side dishes to pair with these sandwiches. 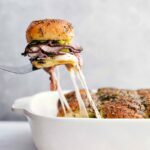 These Italian beef sliders are made with sweet Hawaiian rolls, deli roast beef, provolone cheese, pepperoncini, and a seasoned buttery topping. Preheat the oven to 350 degrees F. Butter or lightly grease the bottom of a 13-by-9-inch baking dish. 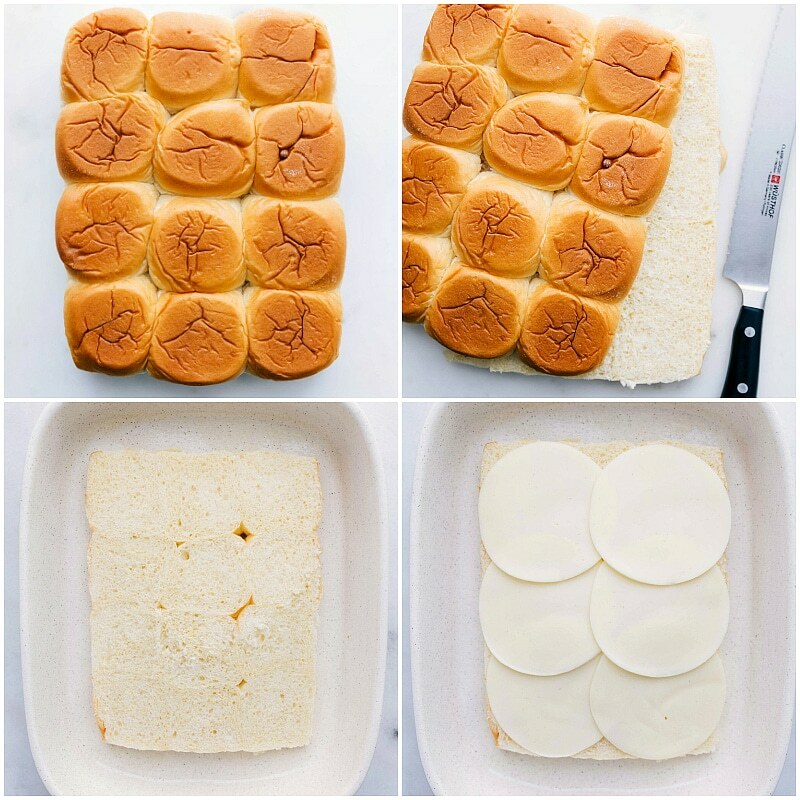 Without separating into individual rolls, slice the top half of the bread off the bottom. 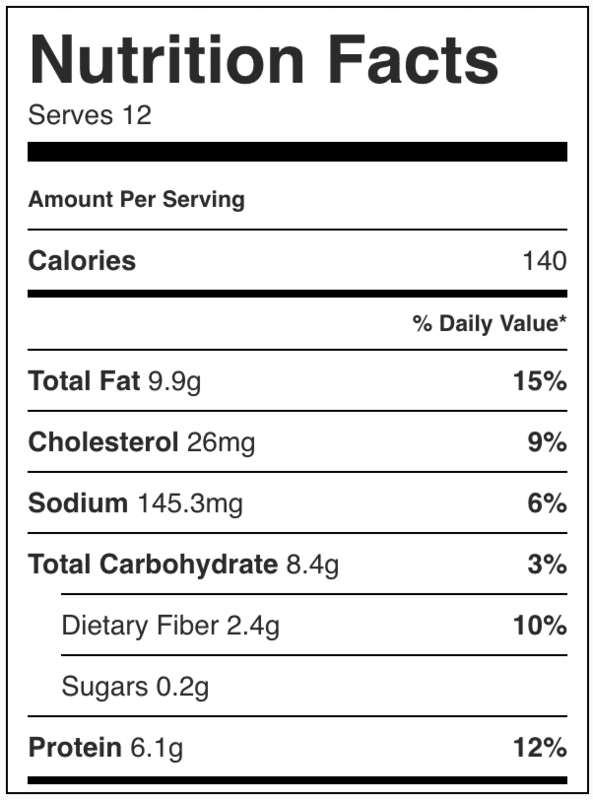 (Make sure the bottom portion is thicker than the top!) Place the bottom portion of the rolls in the prepared baking dish. Layer half of the cheese on top of the bottom rolls. Next layer all the roast beef on top. Add the pepperoncini on top. (We've made these with 1/2 cup all the way up to 1 cup of pepperoncini. I prefer more, but my boys like less; add to your personal preference!) Finally, layer the last half of the cheese on top. Place the top section of rolls on top of everything. In a small bowl, combine the completely melted and slightly cooled butter, dijon mustard, poppyseeds, Italian seasoning, dried minced garlic, dried minced onion, and Worcestershire sauce. Season to taste if desired -- I add 1/4 teaspoon salt. Whisk to combine. Using a pastry brush, liberally brush the butter mixture over the tops and sides of the rolls until well coated. Some of the butter mixture will pool at the bottom of the pan which is fine -- this will help season the bottom section of rolls! Bake, covered with foil, for 20 minutes. Remove foil and bake for another 3-5 minutes or until cheese is gooey/melty and tops of rolls are slightly crispy (watch carefully). Remove, cut apart with a very sharp serrated knife, and serve while hot!